Lansing Book Signing - October 27th! Come to the perfect preparatory party for Halloween at Schuler Books’ 3rd Annual Zombie Night… Because Zombies Need Love Too! Fun includes Zombie Twister, Zombie bowling, ZOMBIE IN LOVE story-time, and a costume contest. In other zombie-related news....check out these freakishly fabulous custom ZOMBIE IN LOVE dolls made by Etsy seller Creepy Stuff. Be sure to check out her creepy store! 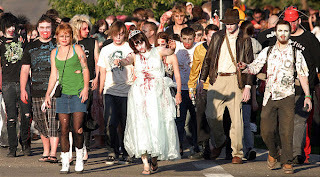 Zombie Walk Book Signing! October 9th! 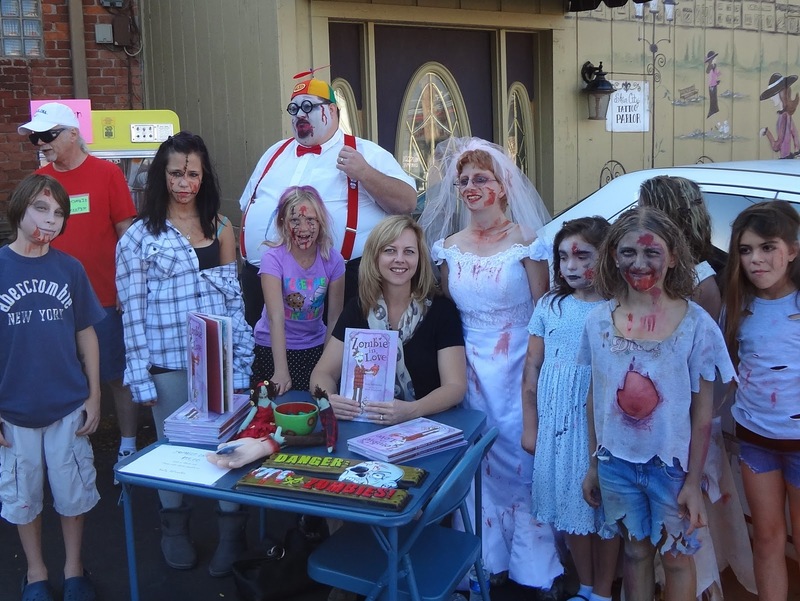 I will be autographing copies of ZOMBIE IN LOVE on Sunday, October 9th @ 4pm in downtown Romeo at the 2nd annual Zombie Walk and Food Drive. Look for me at/or near the Romeo Creamery & Tea Room. Please bring non-perishable food items to help out homeless veterans in our area. It's going to be booootiful day so shuffle on by and mumble "hello".